Ten thousand miles from his current location in Sydney, Australia, Ken Read, the skipper of the 100-foot super maxi Comanche, maintains a morning routine at his home in Newport, R.I. He walks on Gooseberry Beach with his dog Toby. The walk doubles as a morning cleanup mission. “I get an armful of garbage off the same exact beach in the same exact place every morning, and frankly it’s just shocking,” Read said. Ocean health is front and center in the sailing world amid concerns over pollution and debris at next year’s Olympic sailing venue in Rio de Janeiro. 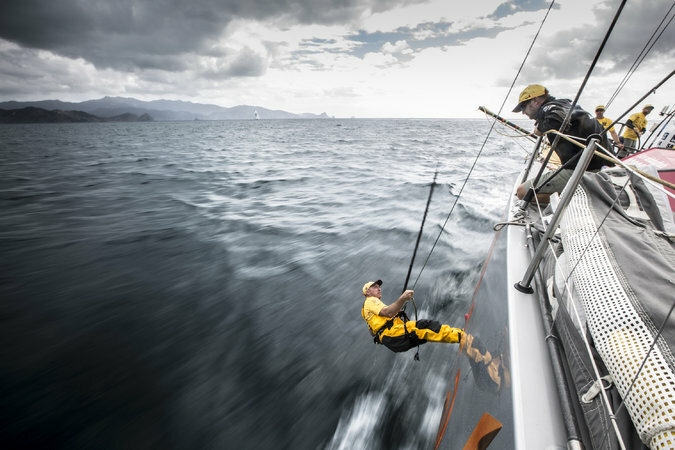 It was also a point of contention during the most recent Volvo Ocean Race. And with another Rolex Sydney Hobart Yacht Race set to start on Saturday, no sport seems better positioned to lead the way in illuminating the huge environmental challenges the ocean is bearing. The question is whether sailors are using that bully pulpit frequently and effectively enough.